What do you get when you cross the head of a bull with an American Gothic-esque sketch? A tribute to William “Bull” Lowell and his commitment to cultivating fine cannabis both naturally and passionately. California’s Lowell Farms made a splash in 2017 introducing organic, responsible, and premium cannabis through innovative concepts like The Bouquet, the Coachella-themed Cannabis Crown, and now the Lowell Farms Cannabis Flight. The set is presented in a beautifully crafted, smooth, light wooden box and includes eight of Lowell’s best strains, each individually packaged in vacuum sealed glass jars. By all accounts, the sativa we tried at a holiday party with a best-in-class Kannastor grinder and Linx Gaia had all the elements one seeks in a premium cannabis product. Ryot is perhaps the most direct brand in the cannabis industry. The GE of cannabis, if you will—specializing in one core competency and building a company around it. Ryot’s is wood, and they do it like no one else in the industry. Davinci vaporizor and Ryot box front and center. Here’s what one of our testers said about a sample box. Borrowing from a proven marketing strategy in traditional merchandise, subscription-based Lucky Box delivers an assortment of hand selected cannabis products for $150 each month. The company’s experts hand-pick from a selection of both top and emerging cannabis brands like Legion of Bloom, Fruitslabs, and Cannaderm as well as other fast growing amazing brands like Roots Ranch Rosin, Chateau Cannabis Co., Tok Concentrates, and others. The brand is even expanding its model to include customizable boxes for events, weddings, and special occasions citing a demand for “aesthetically pleasing” boxes. Perhaps Lucky Box should partner with Ryot. By my account, Lucky Box is doing precisely what it’s supposed to for the brands it partners with. Gone are the days of looking like an iron welder. The Dr. Dabber Boost Black Edition completely eliminates the need for such a rudimentary, unsightly, and dangerous source of heat coming from a torch. The Boost heats to an optimal temperature with a simple button press, making it one of the easiest dabbing solutions available, and when attached to the included glass water filtration piece, the Boost replicates the dabbing experience perfectly. The unit is capable of 20 to 30 uses on a single battery charge. I’ve been a fan of Dr. Dabber products for their quality and innovation around simplifying the oil and wax-based dabbing experience. Each product the company produces is a step closer to optimal consumer usability. Seasoned dabbers welcome any way to avoid wax or oil mess, and new cannabis users simply won’t tolerate such a thing. That creates an ideal market for the Dr. Dabber Boost “all-in-one” dab rig—right smack in between two cannabis consumer types. Arguably one of Europe’s finest cannabis exports, each Volcano vaporizer is hand constructed by a team of electricians in Germany. Produced by Storz and Bickel, the original analog Volcano was redesigned with the release of the Volcano Digital nearly ten years ago. It’s recognizable by any cannabis old timer, memorable to any newcomer, and argued to be the finest vaporizer on the market. It’s the ultimate party vaporizer as the large, inflated bag of vapor is designed to pass around. I was introduced to The Volcano for the first time at Portland’s Northwest Cannabis Club where it sat majestically on the bar counter. Sculpture-like, it’s something you immediately want to reach out and touch. That’s part of its appeal—the way it looks itself. Using it is as smooth as its exterior—all taste, no waste. With such a rich history and strong product, should the Volcano vaporizer evolve from where it is today? Perhaps. Smaller is better in today’s pocket-sized-computer world. I’d like to see a lighter, even more portable version in the future. Lonely’s is an interesting brand—product first, website second (coming soon) for this Portland, Oregon cannabis company. Lonely’s coins itself as “the new American joint,” prides itself on product quality, and provides hints of both from its active Instagram and Twitter profiles. Lonely’s: The new American joint. For those who stand up, stand out & stand apart in all your (im)perfect glory.” Divided we’re alone, united we’re Lonely’s. I think Sargent Pepper’s Lonely Heart’s Club Band when I see Lonely’s branding, and it’s likely no accident. After all, we’re united with a little help from our friends. 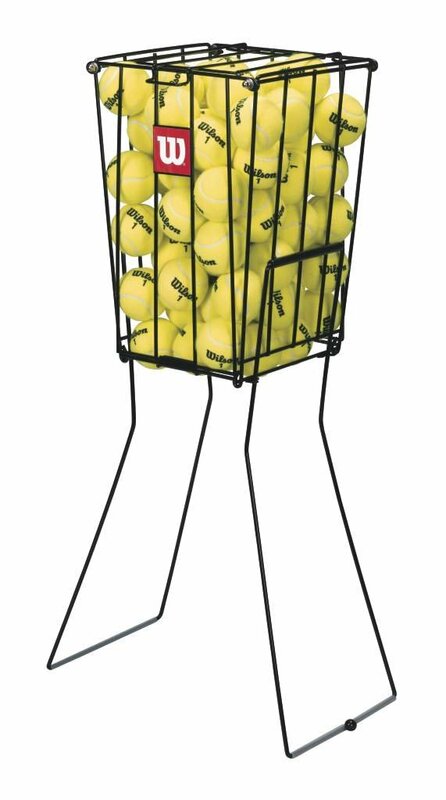 Imagine using a tennis ball hopper to pick tennis balls up from the court. The process is easy: push down on the ball until is squeezes into the hopper, then hit the ball. The Silverstick works in very much the same way. A cannabis nug is the “ball” and the Silverstick is the hopper—squeeze it onto the nug, then hit it. The first few hits can be metallic tasting according to my testers, but after that, you have an all in one, convenient kit. Great for carrying around to have a quick smoke, pass around at a party, or use to sample different strains. The Silverstick is a universally convenient, pocket-sized kit for the cannabist on the go. Search for “cheap dab rigs” and you’ll get a plethora of poorly made glass rigs priced under $50 with names like “Tilt Shift” and “Tango Ripper.” These rigs all have one thing in common—cheap glass construction. Right there is what sets the Higher Standards Heavy Duty Rig apart from low-grade performers. Their dabs are constructed of durable, medical-grade borosilicate glass. This rig feels as if you’re wrapping your hands around a solid aluminum bicycle handlebar neck. Each Higher Standards Heavy Duty Rig is sold in a reusable, collector’s case for safe storage and transport. I found it handy when I brought the unit with me to a holiday party for my friends to have a look at. “This hits smoothly!” said one. “This is the most durable, portable dab rig I’ve ever used,” said another. The Higher Standards Heavy Duty Rig is heavy on quality and reasonably priced at $180. The one in my box is bound to see a lot of parties in 2018. I’ve found a new way to start my day and this magical little jar from Mondo Meds makes it possible. It all started when I added a serving of Mondo into my morning coffee. This powerful, powdery cannabis product mixes into hot liquids and doesn’t do anything to take from the taste of your drink.